Globality is part of the Munich RE Group whose headquarters is in Luxembourg. The company was founded in April 2008 with the aim of providing health cover to expatriates and people requiring international health insurance. With a mission to become the leading health insurer for expats around the globe, Globality are experts when it comes to providing comprehensive and flexible health insurance products. Their service highlights include 24 hour service available to all of their clients, also known as "Globalites". Globality also boasts ready-made partnerships with intermediaries around the world, so they are licensed in all major cities, as well as smaller countries. With their decades worth of expertise, Globality works hard to ensure their policyholders feel cared for to the highest level. If you'd like more information on the company and their products, please contact us. 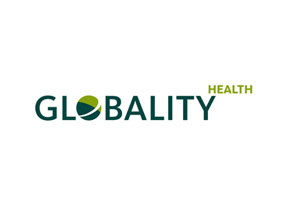 Globality Health's Home Page - We can pick from a variety of different insurers and compile a list of the best possible plans to fit your insurance needs. Moreover, our insurance plans will cost you exactly the same as going to the insurer directly and our services are provided to you completely free of charge.